Looking "where to sell my Detomaso Vallelunga?" Ask the Chicago Car Club! Are you wondering "where to sell my Detomaso Vallelunga ?" 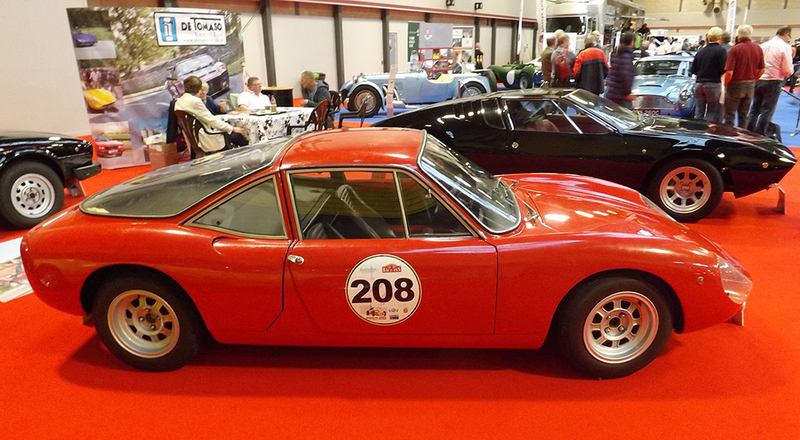 The Chicago Car Club is interested in classic cars of all makes and models, especially a Detomaso Vallelunga. We make the process of selling your Detomaso Vallelunga quick and painless. In just a matter of hours we will have your classic valued and, if you do so choose, turned into money in your pocket. All it takes is a phone call or electronic inquiry to get the ball rolling. The Vallelunga was a mid-engined, rear wheel drive sports car produced by De Tomaso from 1964 until 1968. It was based on a roadster designed by Carrozzeria Fissore that was first shown as a concept car at the Turin Motor Show in 1963. De Tomaso had the car produced by Ghia. The engine was a 1.5 L inline 4-cylinder Kent engine from Ford of Europe with 104 hp (78 kW) at 6200 rpm. The Vallelunga was fitted with a 4- or 5-speed manual transmission and has disc brakes on all 4 wheels. It used a Volkswagen Beetle transaxle fitted with Hewland gearsets. The chassis had a pressed steel backbone with a tubular subframe at the rear. The suspension was double wishbone and coil springs at all four corners with front and rear anti-roll bars and uprights sourced from Triumph. The small car weighed 726 kg (1,600 lb) with a fiberglass body and many aluminum parts. The Vallelunga chassis was not torsionally sound for engines with higher torque. This problem was made worse by faulty welding in the Italian-made backbone. Drivetrain vibration was a problem. 50 production cars were built, along with three aluminum-bodied prototypes and five aluminum-bodied racing cars. The Vallelunga was replaced by the Mangusta, which used a Vallelunga chassis that was re-engineered to take a Ford 302 engine, beginning in 1967.